Learn more about our new and used Chevy dealership, the services we offer and the friendly team members we employ before making your way over from nearby Arlington, Texas to visit us in Fort Worth. 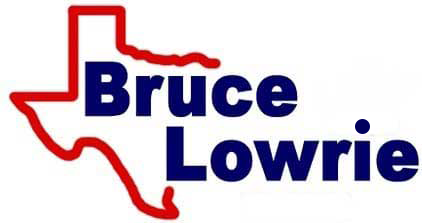 Bruce Lowrie Chevrolet is a new and used car dealership that has been providing for the sales, finance, service, and repair needs of motorists since 1922. We look forward to continuing to bring our friends and neighbors the quality, hassle-free automotive shopping experiences and processes that they deserve for many more years to come! We're dedicated to ensuring all motorists in the Arlington, Texas area can obtain a stylish Chevrolet. Don't hesitate to check out our website to learn more about the assistance we offer, and feel free to apply for our Chevy financing services after reading about the packages we can help you secure if you hold a sub-prime credit score! Our Bruce Lowrie Chevrolet team will help you keep your vehicle running smoothly long after you've purchased it from us, as we boast both a service center and a parts department. Enjoy our complimentary Wi-Fi while we complete an oil change on your Chevy Colorado or take advantage of the shuttle services we offer if you need to get back to your busy schedule. Our technicians are certified to handle maintenance requests on many different automotive brands, so contact us today! If you're an Arlington, Texas driver that is looking for genuine car parts so that you can complete a service on your Chevrolet Equinox at home, team up with our parts center. We'll help you acquire all the products you need and will be sure to introduce you to any parts specials you can put to use. Bruce Lowrie Chevrolet in Fort Worth, TX is proud to be your local car dealership, so contact us no matter what your automotive needs may be!